Artist statement, FPBA article: "I approach each block as the abstract painter confronts an empty canvas, thinking about how to use this space to make a statement. Ideas are worked out in drawings using whatever materials are at hand, frequently trying to subvert the process in order to achieve greater freedom. Many times there are ideas floating about that prompt me to draw. There are other times when a quick succession of drawings suggests possibilities. My process is to do as much planning as possible before committing the graver to the wood, so that by the time I reach for the block I have a pretty clear sense of where I am headed. The ideas are then drawn on the block, allowing the engraving process to be fairly straightforward while affording an opportunity to do a certain amount of editing. . . ."
Petaluma, California: Mixolydian Editions, 2019. Edition of 48: 26 deluxe lettered copies; 14 standard numbered copies; 5 hors de commerce; and 3 sets unbound sheets. 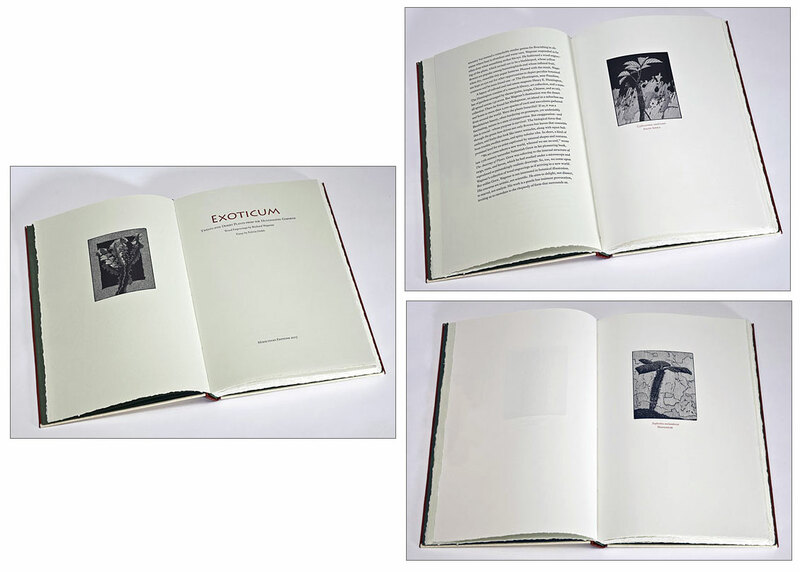 13 x 7.5"; 48 pages includes 19 wood engravings. Printed on mouldmade smooth Zerkall paper from the Kall River Valley in Germany. Printed from the wood blocks on a Vandercook Universal I proof press. Monotype Bembo typeset and cast by Patrick Reagh. Designed, printed, and illustrated by Richard Wagener. Binding by Craig Jensen. 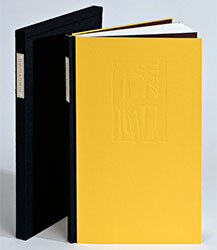 Standard: Bound in quarter cloth with paper over boards housed in a Japanese cloth slipcase with a printed title label on the spine. Signed by the poet and engraver. Numbered. Deluxe: Bound in quarter leather with cloth over boards and a leather lined fore-edge. Housed in a clam shell box with a paper chemise that holds eight signed prints from the edition. Foil stamped on the spine. Signed by the writer and the engraver. Lettered A-Z. "Teapots & Tympani" features eighteen prose poems by Maxine Chernoff accompanied by nineteen color wood engravings by Richard Waggener. Prospectus: "During a visit to Beyond Baroque Literary Arts Center in Venice, California, some forty years ago, Richard Wagener discovered a small publication of prose poems titled 'A Vegetable Emergency' by Maxine Chernoff. After establishing his own imprint in 2006, Wagener began to think about the possibility of printing some of these prose poems in a fine press edition. Prints from 'Umbraculo Series' of color wood engravings developed in 2017 provide a lively accompaniment to Maxine Chernoff's Writing. "Maxine Chernoff has published six works of fiction. ... Among the sixteen books of poems she has published, seven are books of prose poems or include prose poems, a form she began writing in the early 1970s after college." Petaluma, California: Mixolydian Editions, 2017. Edition of 60: 10 hors de commerce, 26 deluxe (lettered), 24 standard (numbered). 12.25 x 7.5"; 72 pages. Letterpress printed on two types of Zerkall-Bütten paper from the Kall River Valley in Germany. Engravings printed directly from the wood blocks on a Vandercook Universal I proof press. Binding and enclosures are by John DeMerritt using paper marbled by Pamela Smith of Abiquiu, New Mexico. 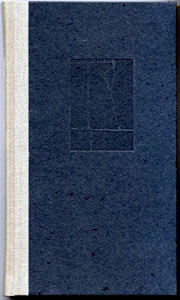 Standard version bound in quarter leather with marbled paper over boards. In a Japanese cloth slipcase with a printed label on the spine. Foil stamped spine. Signed by the write and artist. Numbered. 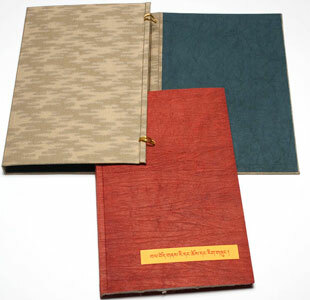 Deluxe version bound in quarter leather with marbled paper over boards. Laid in a clam-shell box with a paper chemise. Includes five signed prints from the edition and a special printing of the bladderpod plant which was the genesis of this suite of engravings. Printed on handmade Twinrocker paper. Foil stamped titles on the spine. Signed and the artist and writer. Lettered. Prospectus: "This series of images was created from 1993-2000 after the engraver discovered the wealth of non- native species housed in the desert collection at the Huntington Gardens, San Marino, California. The writer and the engraver first met and started exchanging ideas fifteen years ago. Other projects and life commitments held this project in abeyance for many years. In late 2015 the stars finally aligned and an active collaboration began. Edwin Dobb, essay: "The Huntington consists of a research library, art collection, and a number of gardens arranged by theme (palm, jungle, Chinese, and so on), all spread across 130 acres. … Wagener's destination was the desert collection … an island in a suburban sea and home to more than 2,000 species of cacti and succulents gathered from around the world. … [O]ften bordering on grotesque, yet undeniably fascinating, nature in a state of exaggeration. But exaggeration – and this is crucial – whose purpose is survival: The biological force that through the green fuse drives not only flowers but leaves that resemble antlers, and limbs that look like insect tentacles, along with squat bulbous trunks, swollen stems, and spiny tubular ribs. In short, a kind of promised land for an artist captivated by unusual shapes and textures." Prospectus: "Edwin Dobb is a fiction writer, essayist, and journalist. A former editor-in-chief of The Sciences and contributing writer at Harper’s, he currently writes for National Geographic and teaches at the U. C. Berkeley Graduate School of Journalism. "Richard Wagener is a California printmaker and book artist specializing in wood engraving, and is the proprietor of Mixolydian Editions where he publishes fine press limited edition books and prints. He is the 2016 co-recipient of the Carl Hertzog Award for Excellence in Book Design from the University of Texas at El Paso and the recipient of the 2016 Oscar Lewis Award for contributions to Book Arts from the Book Club of California." Petaluma, California: Mixolydian Editions, 2015. Edition of 36, 9 APs + 5 Hors de Commerce. 13 x 7"; 32 pages. Designed and printed by Richard Wagener. The text was composed in Monotype Bembo, cast by Patrick Reagh, Sebastopol, California, and printed on handmade Twinrocker paper. The engravings were printed from boxwood blocks on handmade Yamagampi paper. Deirdre Hassad, Melbourne, Australia, created the calligraphic title. 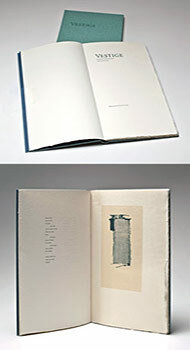 The book was bound by Lisa Van Pelt in Philo, California, using handmade Twinrocker paper for the cover. 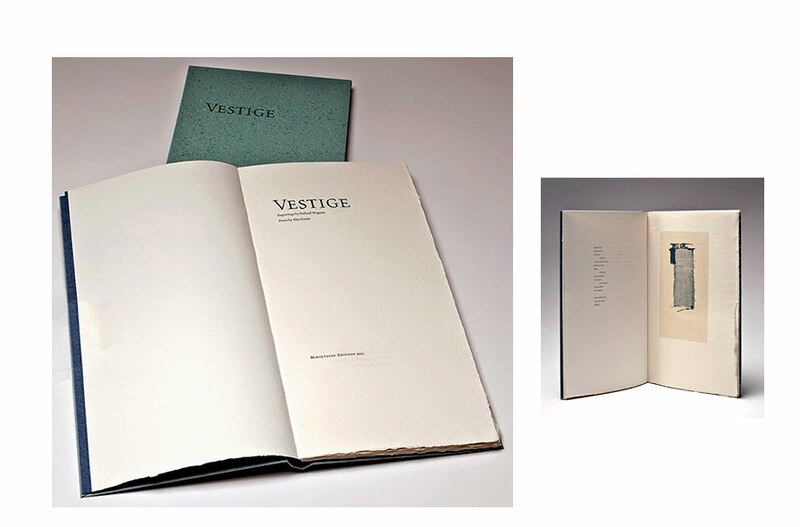 The slipcase was made with handmade paper from Papeterie St-Armand, Montreal. Signed and numbered by Richard Wagener. Mixolydian Press: "During the Codex Book Fair and Symposium in 2013 , Richard Wagener and Alan Loney met and began a collaboration that considered the idea of weaving. Sixteen color engravings inspired a beautiful poem and together they became a book titled Loom, published in 2014 by Nawakum Press and Mixolydian Editions. "A special print developed for the deluxe edition of Loom led to a series of five engravings and a new poem taking a different approach to weaving and textiles. Alan Loney notes 'this poem might seem to break a very old tradition – in both Hesiod and Homer a woven cloth is often described as ‘a wonder to behold’, and the craft that creates that wonder is registered by the tightness of the weave, known by the ancient Greeks as harmonia – in Richard’s engravings the apparent weave is loose, open, broken, torn, decayed – yet something about these ruins, these remnants, is nevertheless, to my sense of it, in as deep a harmony with the reality of our lives as lived as anything I know in the engraver’s art – I can only hope that the poem is similarly open-ended & fragmentary as the art that stirred & buoyed the writing on its way." Petaluma, California: Mixolydian Editions, 2011. Edition of 40. 7 x 11.25 x .5"; 32 leaves. Letterpress printed with Monotype Bembo. Printed on handmade Yamagampi paper. Bound using handmade Lokta paper from Nepal over light boards. Laid in a wrap-around of Japanese silk Genji cloth and Kyoseishi paper. 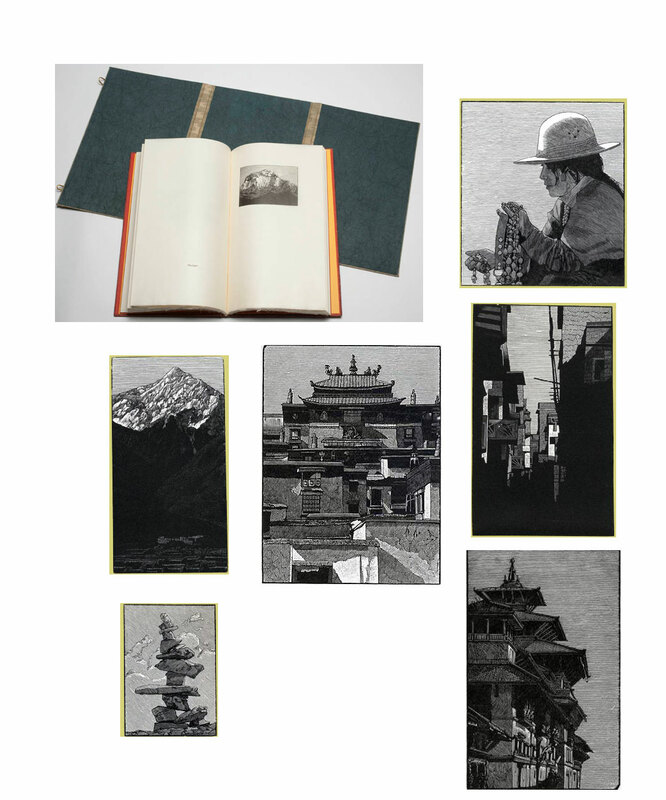 Mountains & Religion, a collection of twenty wood engravings, is based upon a journey to Nepal and Tibet in the autumn of 1995. The images are from the Kathmandu valley, up the Kali Gandaki valley on the Annapurna region of Nepal, then to Lhasa, Shigatse, and the countryside of Tibet. This visual documentation contains the expected mountain vistas, but just as compelling is the architecture of the human spirit - the monasteries, the temples, the public squares. Wagener's choice of slightly cream-colored, velvety paper is an effective for the deep blacks and subtle gradations of tone in his engravings. The supple cloth-like pages are in marked contrast to the solidity of the scenes, but the combination seems apt for a collection titled Mountains & Religions. The engravings are accompanied by excerpts from The Snow Leopard by Peter Matthiesen, My Journey to Lhasa by Alexandra David-Neel, and In the Himalayas by Jeremy Bernstein. Sherman Oaks, California: Mixolydian Editions, 2006. Edition of 65. In the edition of 65, Numbers 1-25 are deluxe copies printed on Twinrocker handmade paper and bound in quarter leather and cloth over boards. Numbers 26-65 are regular copies printed on Rives Heavyweight paper and bound with quarter cloth and paper-covered boards. 5.5 x 10"; 72 pages. Letterpress printed. Composed and cast in Monotype Dante. 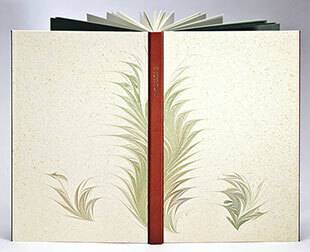 Illustrated with four full-page wood engravings and one vignette title-page illustration by the author. Printed on Rives Heavyweight paper. Quarter tan linen over charcoal gray paper-covered boards. Mounted paper title label on spine. Title-page illustration blind stamped on front cover. Cracked Sidewalks begins: "Each autumn collected more reasons to leave behind that which stays with you, the marks of a time shared with people and ideas that bring definition to one's sensibility. The measure of change is more certain during journeys back to those determinate places." This series of short impressionistic prose vignettes present "journeys back to those determinate places" for a young man who came of age in post-WWII Los Angeles. San Francisco, California: Book Club of California, 2013. 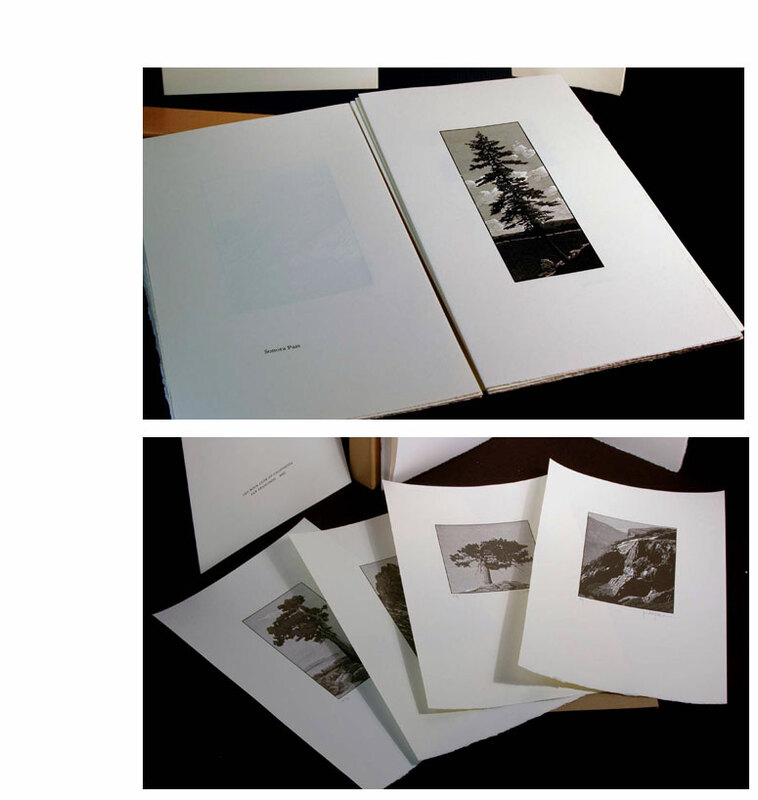 Edition of 308 with ten artist's proofs. 7.5 x 13"; 9 sets of two folded 15 x 13" sheets. Laid in paper wrapper with wood engraving on front cover. 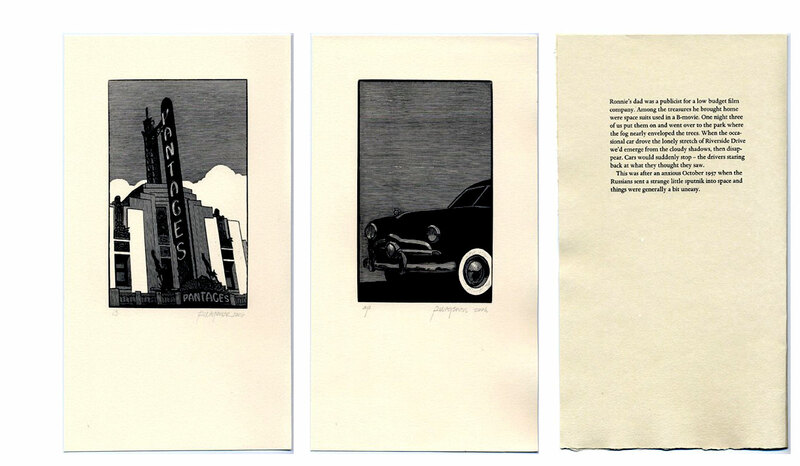 Artist's proof copy with additional suite of four prints. 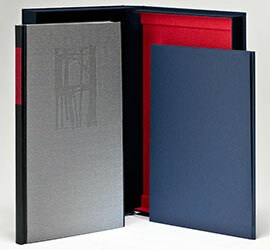 Presented in cloth- covered clamshell box with recess for portfolio of additional prints. Signed and numbered on the colophon by the artist. Each of the four extra prints signed and numbered as well. Colophon: "The Sierra Nevada Suite was designed and produced in an edition of three hundred and eight numbered copies by Peter Koch with the assistance of Jonathan Gerken for The Book Club of California. Ten artist's proofs designated A/P and ten printers proofs designated P/P are reserved. The woodengravings were printed by Richard Wagener. The typeface, Dante, designed by Giovanni Mardersteig, was originally hand-cut by Charles Malin and adapted for mechanical composition by Monotype in 1957. The text was cast at the letterfoundry of Michael & Winifred Bixler and printed by Max Koch on Zerkall Büttenpapier. 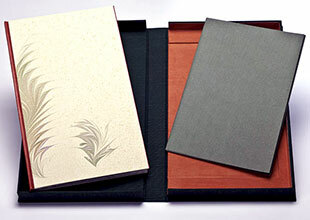 Book binding and slipcases by John DeMerritt Bookbinding. 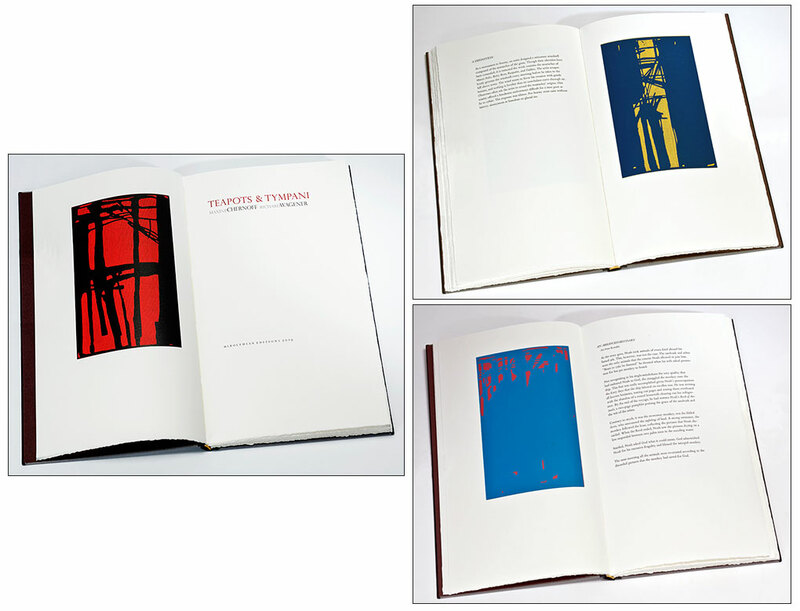 Each book is numbered and signed by the artist." Prospectus: "The 31 blocks, including two panorama fold out prints, in this special edition were hand-engraved on end-grain boxwood and relief-printed by Richard Wagener. The majority have been produced between 2010 and 2013. The present work is a companion volume to California in Relief, published by the Book Club in 2009 to wide acclaim, and continues a legacy of ingenuity and beauty. 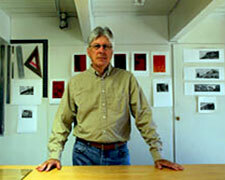 Book Club of California: "Richard Wagener is unsurpassed in the world of contemporary wood-engraving. 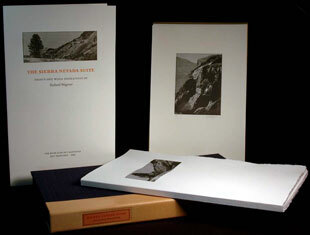 This book contains new prints inspired by views that moved Wagener while hiking in the Sierra Nevada." Peter Koch, Introduction: "John Muir reminds us that a life lived without great rocky outcrops and ageless trees as a part of one’s native landscape would be a life deprived of one of the greatest resources of the sublime.… In the Sierra Nevada there live trees as old as Sumerian phonographic script and Egypt’s Bronze Age Middle Kingdom – there for you to lean against and smell … alive … sap oozing from the cores of the oldest living friends we have. Richard Wagener’s engravings capture an essential quality of that friendship –nearness and an austere clarity."